Why is it important to have a Job Offer Letter Template? You’ve interviewed lots of potential candidate for a part-time job and you’ve found the person that you think is right for your business. But then what? You know you need to offer them the job in writing but what’s the correct way to do it? This is where HR Heroes Job Offer Letter Template (Part Time) comes in! 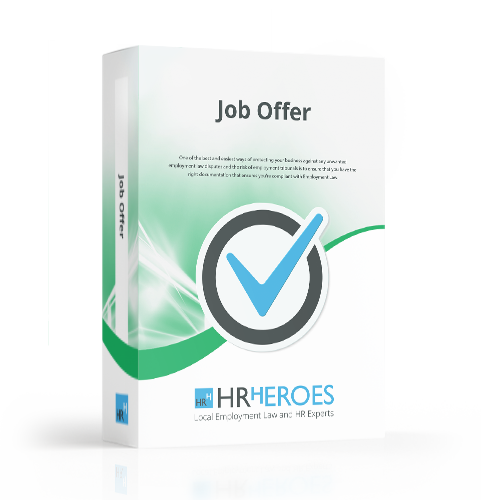 The Job Offer Letter Template (Part Time) are easy to use and will give you all the details you need to include in your offer to your new employee.